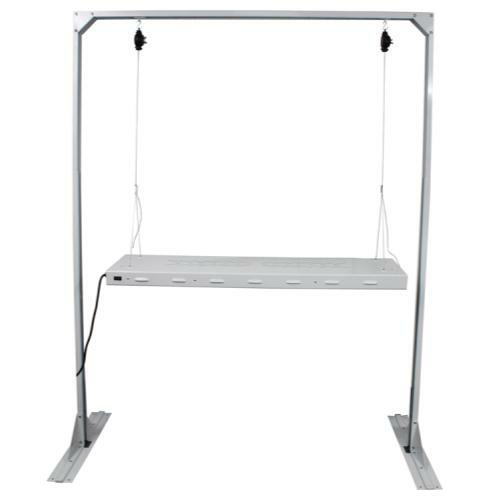 Strong sturdy construction made of powder coated steel. The stand is 60 in wide with adjustable shuttles that go from 12 in to 48 in apart in 3in increments. Adjustable height 52 in to 88 in. 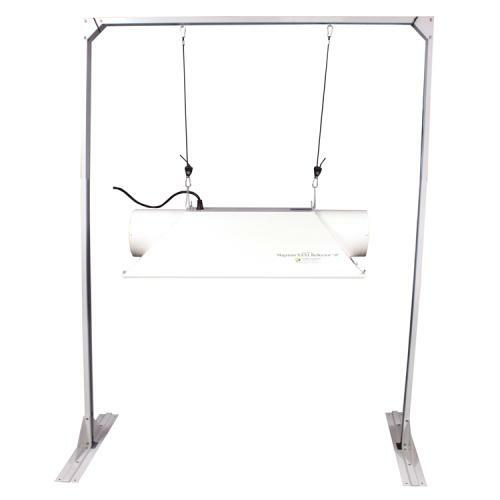 Comes standard with a pair Sunlifts to easily hang light fixtures up to 22 lbs. For heavier fixtures use a pair Sun Grips (sold separately) to hang light fixtures up to 100 lbs.